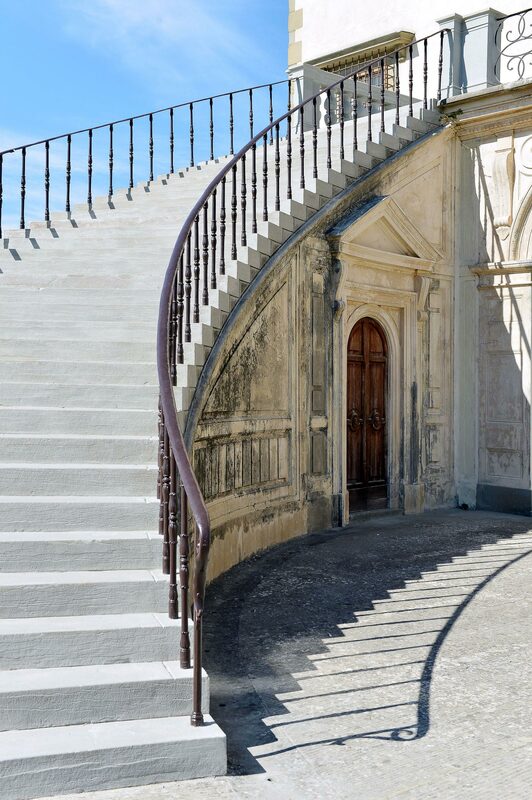 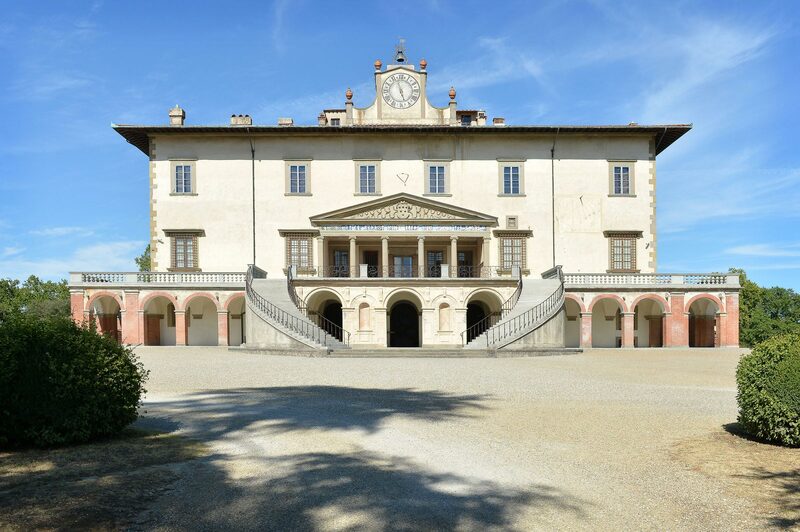 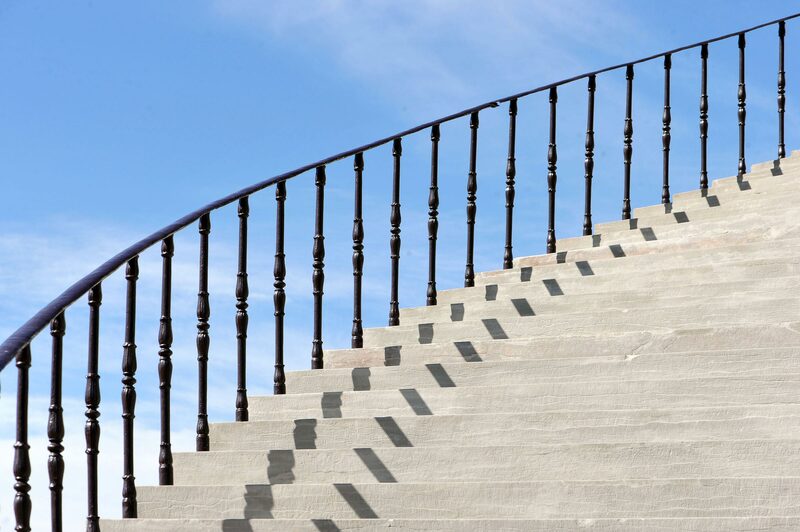 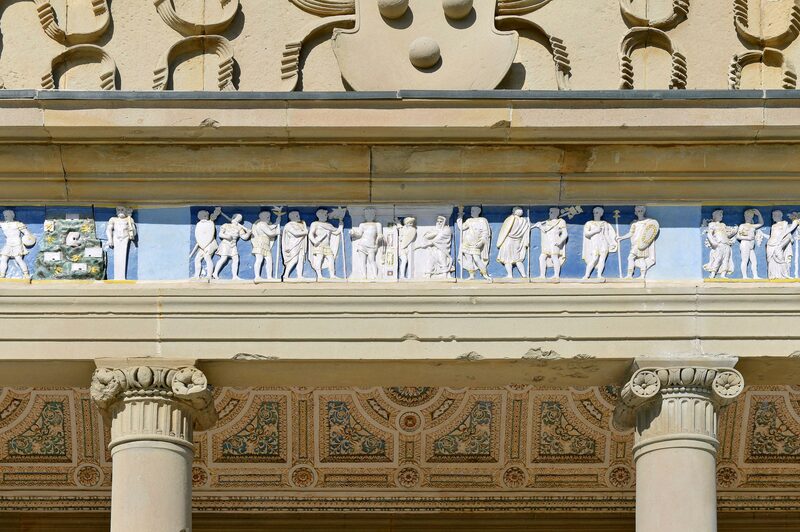 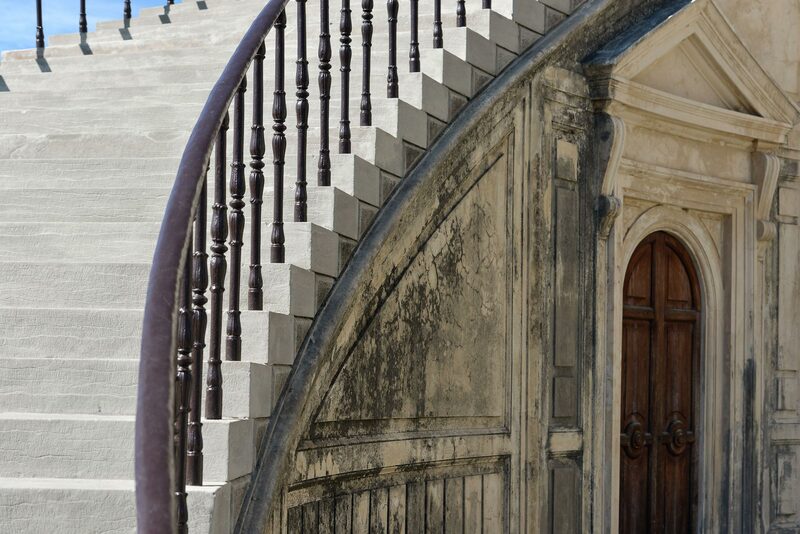 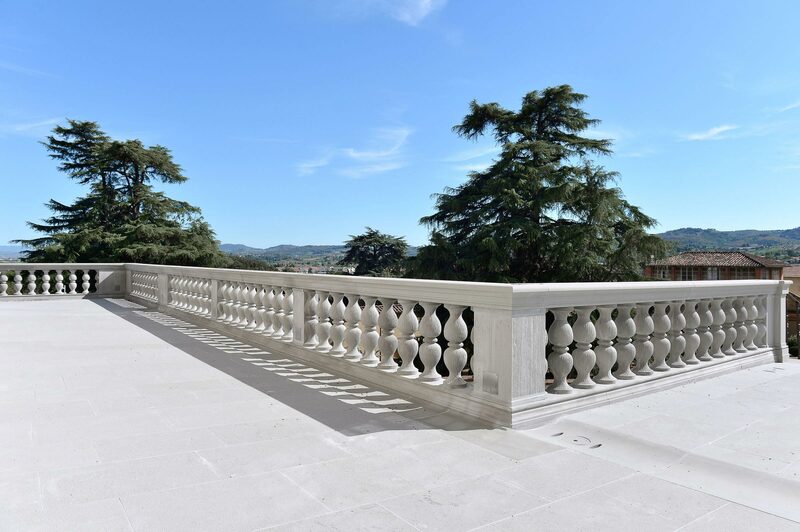 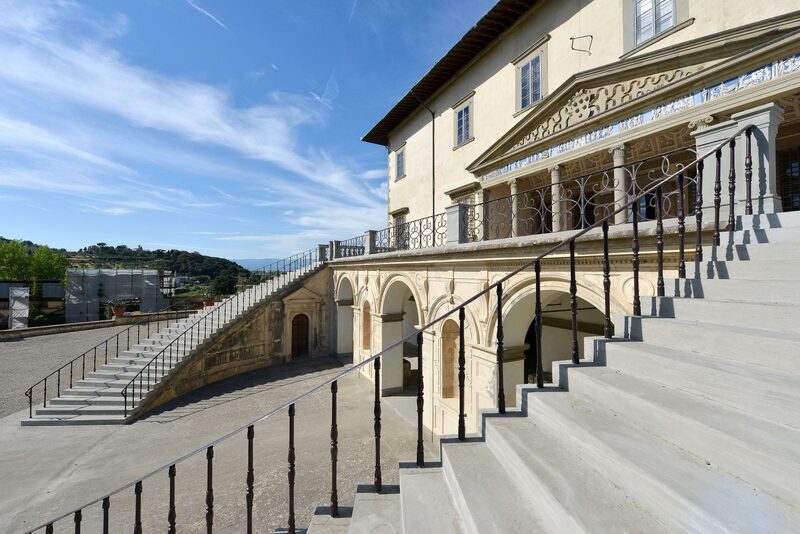 Designed by Giuliano da Sangallo and built starting from 1480, Ambra, the Medici Villa of Poggio a Caiano is the subject of the recent restoration project focused on the grand staircases, which accompany the visitor to the main floor, also repaved, with an engraved parapet. 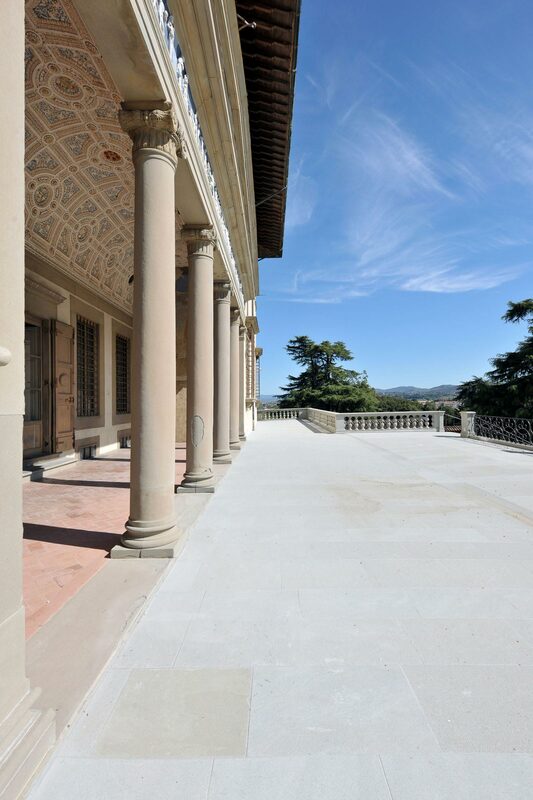 The Pietra Forte Fiorentina was used for the architectural elements: the sawn-edged steps contrast with the smoothness of the slabbed floors of the terrace on the upper floor, in addition the stone is found in the columns of the parapet, which are rounded, chiselled and set in the moulded cymatium and in the socle. 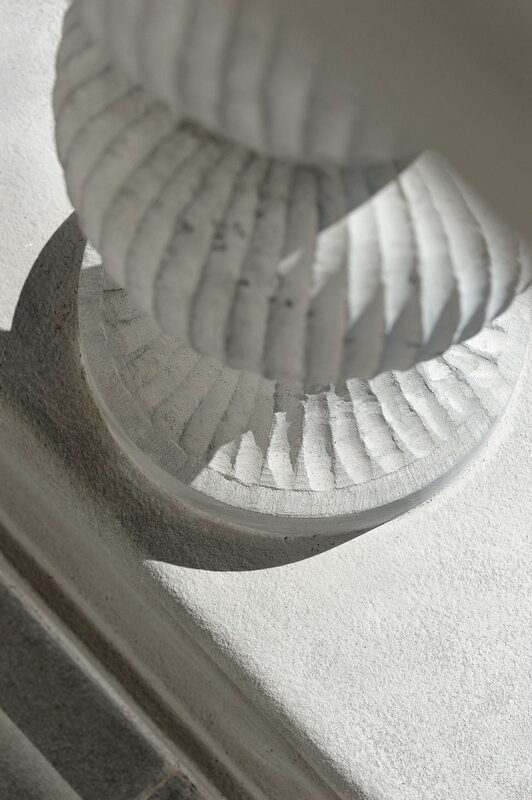 The old and the new blend harmoniously together in the carefully designed gutters on the main floor, as do the various special pieces grafted beautifully into the floors. 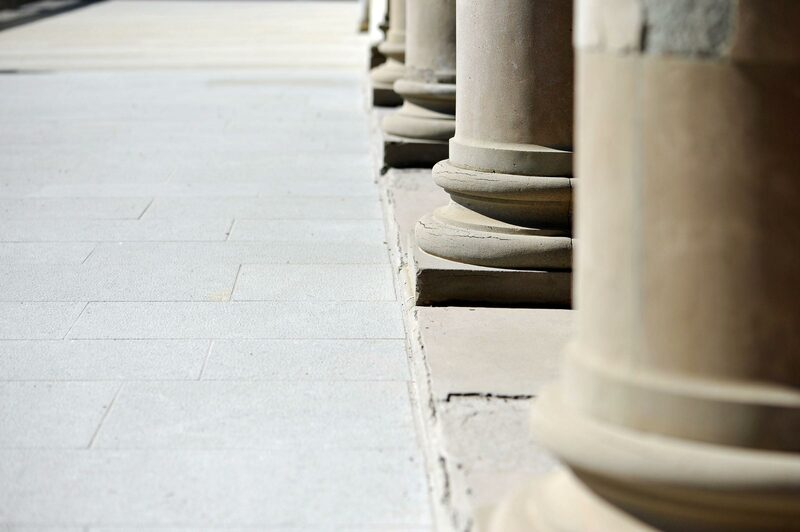 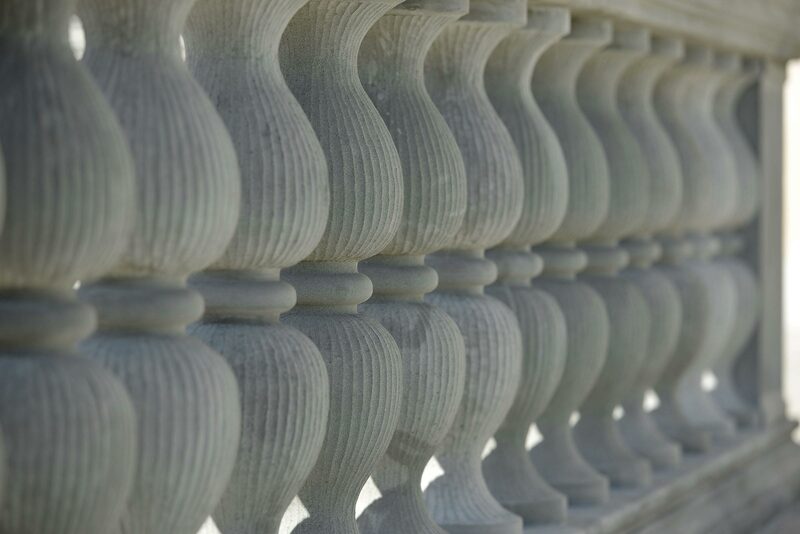 Therefore, not only has the original equilibrium been respected but it has also been emphasized with subtle elegance.